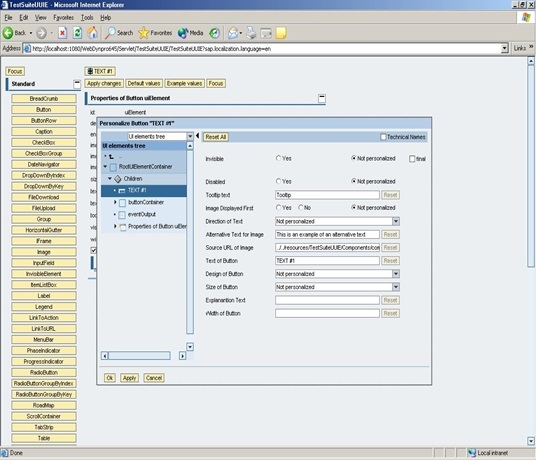 If you want to change the Text, Hide/Unhide the Links, change the number of rows/ columns, and etc.. in WD JAVA IView. You can achieve this by WD Personalization without modifying the Source Code. Just follow the Following Procedure. Login to the portal with an administrator user. you need to run the Page in ‘Preview mode’. 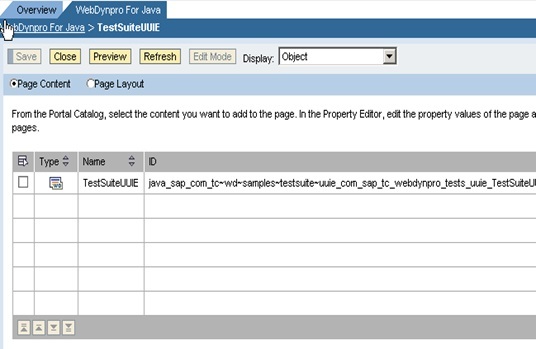 To do that you need to navigate to Content Administration Tab, it will show Portal Content, then you need to navigate to the end user role (eg. 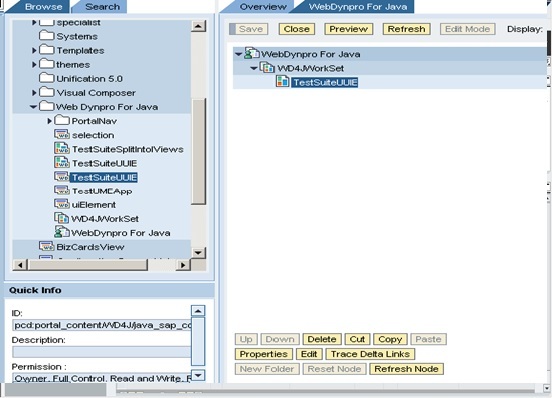 WebDynpro For Java) and double click the Role to view the Object properties. You will see the contents as shown below in the screen shot. Select the WD page and click on edit button on the bottom. You will see the following screen shot. Click on Preview button to preview the page. Invoke the admin personalization, in development systems it can be invoked by Ctrl + Right Click (mouse) on the UI Element (for e.g. Button). The popup appears as shown below. Now do the required personalization and save the changes. The personalized values will be reflected for all the users who are assigned to this Role. Hence when the users access this page by clicking on the Role, they all will now be able to see the changes.